*This post contains affiliate links, meaning that if you choose to purchase from one of the links in this post, I may receive a commission. As a blogger, I’m always keeping my eye out for new ways to get my site in front of new eyes. This means the utilization of any social media platform available, and a regular effort to optimize the visibility of my posts, graphics, and logo. 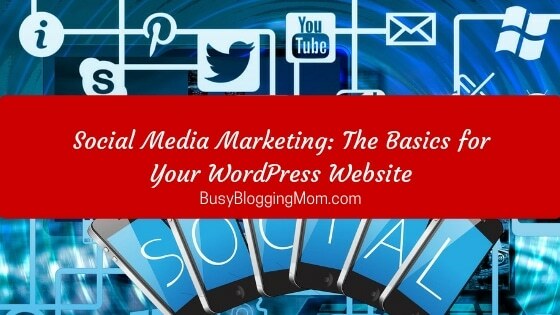 In my opinion, marketing is one of the most exciting yet difficult parts of being a blogger. One of my favorite ways to market myself is with Pinterest. It’s a very powerful tool, and if your audience is composed primarily of women like mine is, you know this to be especially true. (You probably don’t need a report to tell you this, but according to a December 2015 statistics report, 85% of all Pinterest users are female.) 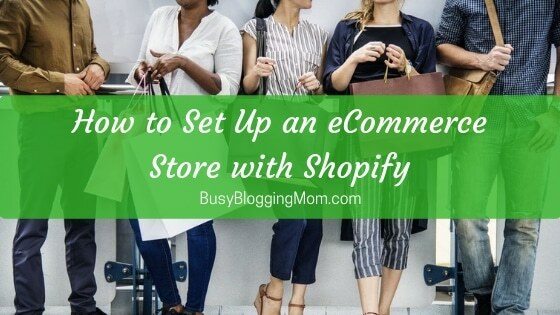 However, I think that most bloggers would agree that it’s a very powerful tool for all niches. Pinterest was my number one referrer for several months (you can read about my current Pinterest strategy here) back when I was starting out (which is funny because my images were lame and my fonts and colors looked super unprofessional…AND my images were never vertical) but then when I stopped focusing on Pinterest and started working on other social media platforms, my Pinterest referrals and growth slowed WAYYYY down. 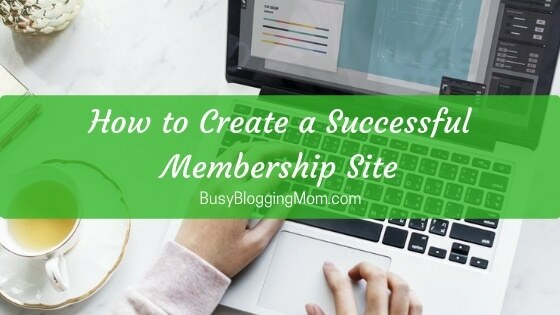 I’d been spending a lot of time each day working on pinning other bloggers’ things, tidying up my boards, and looking for more group boards to follow. I was also following other people like crazy hoping for reciprocation. I felt like I was spending too much time doing everything on social media and there was so much I wanted to get done that I couldn’t with the amount of time I was spending there. So I let up a little on my Pinterest efforts. There had to be a more efficient way of doing things. …and there was! I just didn’t know about it yet! Today Pinterest is once again my top referrer, even though I’ve changed the way I use it and spend less time on it. How have I kept growing despite putting less effort into Pinterest? The answer is… Pinterest schedulers! The most common and popular schedulers are BoardBooster and Tailwind. I regularly see people weighing the pros and cons and talking about why they prefer one or the other. But the basic gist of it is–both programs allow you to Pin content more efficiently (so that you don’t have to do it manually every day at different times) and more quickly so that you can make sure that you are highly visible to your ideal readers. I’ll be honest and say that while I’d heard of both BoardBooster and Tailwind before, I didn’t start using either of them until about two months ago when I came upon one of those blogger discussions in a Facebook group. Some people loved BoardBooster, others loved Tailwind. People were quite divided, regardless of the type of blog they had. So what was a girl to do without any definitive answers from fellow bloggers? Well, try them both, of course! Both platforms offer free trials, so why the heck wouldn’t I try them both? A bit pricey in comparison to BoardBooster IF you use the monthly option ($15/month for 400 pins or $9/month when you pay for a year in full.) Update: One of my super awesome readers pointed out that if you have annual billing, pins are unlimited with Tailwind, that is some HUGE bang for your buck! As you can see (and you know if you’ve used either program), there are definitely perks to having some sort of scheduler. I have an exact count of how many repins I had in a particular month, and I don’t have to spend hours manually pinning things. I know which pins and boards are performing the best. All of the things I mentioned are great perks to using a scheduler for Pinterest, but after having completed both free trials, I’m going to have to say, it’s still a bit of tie! I guess it’s just a preference thing, but both programs have things the other doesn’t. Looping (which only BoardBooster has) is ah-may-zing. It basically goes through your old pins and revives them. You can drive traffic to your old posts automatically and customize this so that no one pin is being seen too often or too seldom. It’s really cool! Tailwind has partnered with Pinterest. 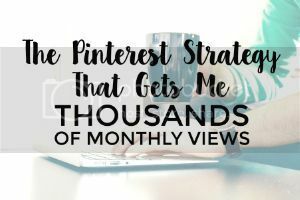 You can read about what this means in this post from Tailwind, but basically, it means that Pinterest is going to give preference, and therefore higher priority to pins scheduled with Tailwind…this supposedly translates to higher visibility. In the end, I started paying for Tailwind because I think it just fits me better and I really love that they are partners with Pinterest. However, I decided to stick with a monthly plan (that can be cancelled any time) in case I decided to experiment with BoardBooster more later. You really have nothing to lose by starting a free trial (or two, like me!) to get your Pinterest account taken care of more efficiently. 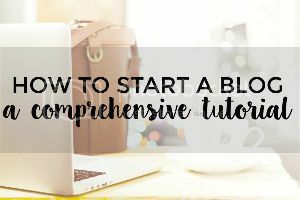 If you’re a fellow blogger that has just gotten started, I hope that you find this post helpful and enlightening! 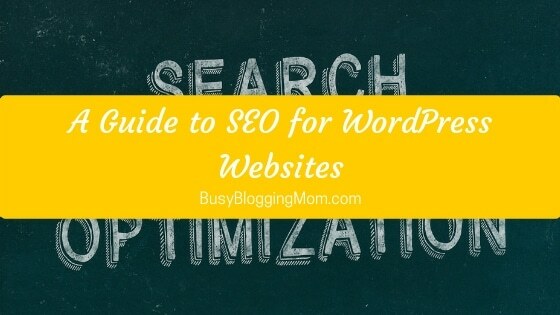 If you’re a blogger that’s been putting off optimization of your Pinterest account–stop it! Stop, right now! Free and easy promo is YOURS with both of these programs, at least to get started. Are you like me and you’ve tried them both? How are you liking it/them? Tell me below! I want to know! 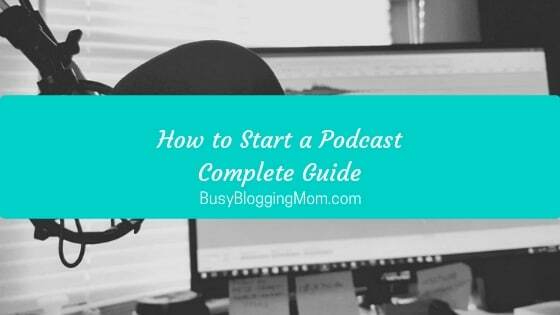 Learn what to do and what to avoid in your first month blogging. Take a look at my Pinterest marketing/growth strategy. I’m paying for both now that my free trials are up. I use BoardBooster for scheduling my pins to group boards and looping. Tailwind is for scheduling other people’s pins to my boards. I am still working on filling up my boards since many of them are new. This system is working really well for me and gives me about 80 pins a day. I have used both on multiple occasions when I felt like I needed a boost. Sounds like you’re doing great! Great article! I’m just wondering if (as a relatively new blogger) I need to wait til I have a lot of content before using a scheduler, or should I start regardless? Would love your opinion! Thanks! Thanks for the comparison! I’m a new blogger and really looking to get some visibility using Pinterest. Looks like I can’t go wrong with either app! I totally agree with the look/feel of Board Booster!! LOL I’m off to trying out Tailwind… I don’t have a lot of pins because my blog is still fairly new, so looping doesn’t seem necessary…yet. I’m done the free trial with both and now have to choose. I honestly like Boardbooster better. 2. I can automate my pins to group boards Easily. I can probably do these things On Tailwind but it is more confusing to me. The interval thing? Why can’t I do that for weeks and not just days? I just don’t understand. I feel like I should be using Tailwind because of joining tribes. I’m still confused. I appreciate this post. I was torn between the both but a sure now what to do! I am trialling both at the moment. Like you I like the interface of Tailwind, but quite like the fact you can put BoardBooster on autopilot for looping. Oh decisions!!! Thanks for the succinct comparison! I was a paying Boardbooster user, but I’ve since cancelled. The “unprofessional looking presentation” kinda bothered me, as you said Chantal, but half the time it seemed like the tool wasn’t doing what I instructed it to do (is it supposed to just freeze and take ages to respond to your inputs?)! I’m paying for Tailwind as well, but I feel like they’re slightly different tools and both definitely have their place. Looking for a Boardbooster replacement has led me to GeniusPin, anybody using that one? Thus far it’s more elegant and more responsive than BoardBooster. It’s astoundingly similar in that they let you schedule from secret to public, they have the ability to recycle old pins to the top of your boards (“looping” I guess), and one new thing they offer is being able to follow similar users that supposedly are more apt to follow you back (I’ve been using that with good results). I contacted customer service for all 3 tools and have been quite impressed with all 3, I got quick, helpful responses from them all. I should also mentioned I gave AutoPin a try but that’s not quite my style, it too does a lot of automation but you don’t have the same kind of control as a Boardbooster or GeniusPin. Okay, so I’m going to do this 500 pin trial with Boardbooster and see what happens. Seems like most people end up going with Tailwind, but miss the looping thing. Maybe I need to go cancel all my campaigns and just get BB to loop some stuff for me before I go. Hah! I’ve been using Boardbooster for awhile and am just starting out with Tailwind. I LOVE that they have partnered with PInterest. I think that’s pretty huge. I heard that Pinterest has started penalizing pinners who pin more than 50 pins per day though. First of all, is that true, and second, how would you use both programs simultaneously and stay within the lower pin rate?